Many people have hobbies or small businesses that require an inexpensive motorcycle to help them cover long distances or to haul equipment quickly from one place to another. For instances, race car teams often use small motorcycles to get crew members and parts from their race trailers to the pit area. Swap meet vendors sometimes use a small scooter or motorcycle to help them get around big fairgrounds. Because most people typically don’t want to spend a lot of money on these little utilitarian bikes, one of the best places to find one is through a salvage motorcycle auction site such as SalvageBikesAuction. In fact, it is not uncommon to find a number of inexpensive repairable motorcycles and repo motorcycles that would make excellent work bikes for sale at salvage auctions. Most people hear the world “salvage” and think that all the bikes available through one of these sites will be junked and irreparable. While there are certainly motorcycle listings like that for sale at salvage auctions, there are also repairable motorcycles that may be considered too old by an insurance company to be worth fixing after an accident. These types of motorcycles often still run well and make strong candidates for work bikes. Repo motorcycles, which also can be found through salvage auctions, are typically in very good condition and also make great work bikes. Sound interesting? Then you’ll want to check out www.SalvageBikesAuction.com. 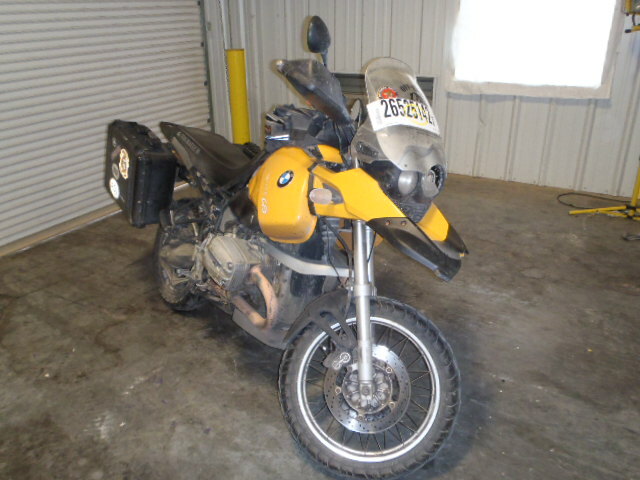 Anyone can search its listings to get an idea of just what types of bikes are available at salvage auctions.